STANDISH---While many of their classmates enjoy rest during Spring Break, over 20 students at Saint Joseph’s College in Standish will generously offer their time and talent to help many in need across the country as part of the school’s “Spring Break Workfest” from March 4-10. The initiative, now in its 27th year, provides opportunities for students to look beyond the world they know and assist the poor and marginalized, building relationships between themselves and in new communities. Fittingly, “Spring Break Workfest” frequently falls during Lent, a period of spiritual renewal that encourages a focus on almsgiving, or charitable acts for the benefit of others. A special “Spring Break Workfest” prayer service to sendoff participants will be held on Friday, March 2, at 4 p.m., in the Healy Chapel located inside the Heffernan Center. All are welcome to attend. 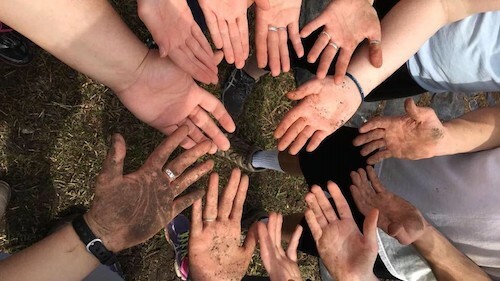 In the days that follow, students will volunteer with the Christian Appalachian Project in Kentucky, as well as at sites in Houston, New York City, and New Orleans through programs facilitated by Camp Restore and Habitat for Humanity. Some students will help restore family homes damaged by Hurricane Katrina, Hurricane Rita, and Hurricane Harvey, while other students will support affordable housing initiatives by helping build homes for families in need. “Spring Break Workfest” began in 1992, an idea of Sister Michele Aronica, RSM, and Sister Sylvia Comer RSM. The goals of the program include raising the students’ awareness of issues facing people from other areas, providing an immersion experience, and offering participants with the opportunity to share their gifts while exploring their spirituality. The event also comes during Saint Joseph’s Month (March), which will provide the college community with several opportunities to deepen its understanding and expression of Saint Joseph’s mission as a Catholic, liberal arts college in the Mercy tradition. A special Lent section has been created on the Diocese of Portland’s website featuring resources to assist individuals and families during their Lenten journey, including Mass times, special event listings, a Lenten calendar, faith formation and Scripture reflections, retreat information, ways to share their gifts, and Lenten messages from Pope Francis.